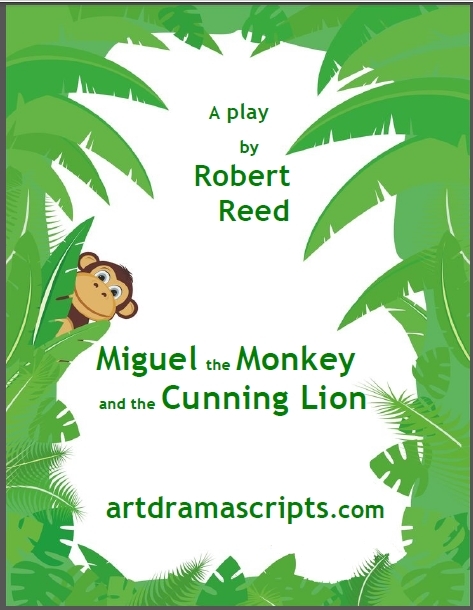 This short drama script for little children makes a cheerful and amusing light-hearted school play/assembly. The script is fun and easy to stage. Miguel is a lazy little monkey who lives deep in the jungle. Instead of helping his brother and sister find bananas, he goes off in search of the Lion who claims to have become a herbivore and wants to share his bananas with other animals. The other creatures in the forest warn Miguel not to listen, but he ignores their advice and thinks with his stomach. Will anyone be able to save the foolish monkey in time? Primary KS2 drama scripts for children in Year 3 - Year 6. Resources for primary school assemblies KS2.